What is better that a view of the Atlantic Ocean from the deck of a historic hotel like the Casa Marina’s Penthouse Lounge? Built in 1925, the hotel began as a two-story 60 room hotel but after being secured as military housing during World War II the hotel went through some changes. One of those changes over the years and a series of owners was the addition of a veranda and 3rd-story that is now the Penthouse Lounge where my friend Rose and I enjoyed this panoramic view of the beach. We watched the ocean and the activity on the beach which included walkers, bikers, surfers and many sitting in a tranquil state of mind enjoying the waves ebb and flow. During the day, the Penthouse Lounge serves up lunch Tuesday – Friday from 11 am – 3 p.m. We decided to take in the evening selection and enjoyed tapas deciding to split and share. Rose tried the Kobe Slider which was composed of two 3 oz American Kobe burgers with caramelized onions, Muenster cheese & garlic mayo s and I ordered the Olive Tapenade which is a savory spread of mixed olives, roasted garlic, and virgin oil served with warm flat bread. We tried out a martini to go with the tapas and sipped and listened to the music that had guests and locals alike swaying to the beat. Chef Aaron Webb oversees the wonderful food selections both at the hotel and a great restaurant Zeta’s a few blocks away. Breakfast is included with accommodations should you choose to stay a few days like we did during our press trip. The Penthouse Lounge is located at the top floor of the Casa Marina Hotel at 691 1st. 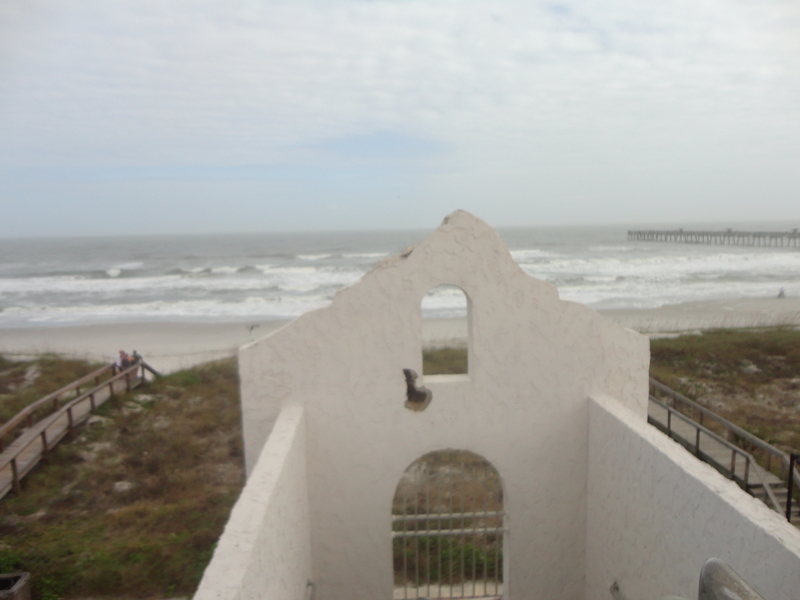 St. N., Jacksonville Beach, FL. Call (904) 746-4517 or log onto http://casamarinahotel.reachlocal.net/ for more information.